Most BMW X3s spend a negligible amount of time off road - apart from crunching across Middle England's gravel driveways - so BMW has seen fit to release a version that ditches the all-paw capacity and reverts to classic rear-wheel drive. While it's still going to be some way from a classic rear-drive Ultimate Driving Machine, the X3 sDrive18d is the cheapest and most economical way into X3 ownership. You'll be able to get your hands on one from £28,580 when it arrives in the UK in the autumn of 2012. As well as being equipped with that clunky name, the X3 sDrive18d employs BMW's four-cylinder turbocharged diesel engine, good for 141bhp and 266lb ft from 1750rpm. Power is channelled - to the rear wheels only, of course - by either a standard six-speed manual gearbox, or by BMW's eight-speed auto transmission as a cost option. The manual car hits 62mph in 9.9sec, while the self-shifter lags slightly behind with a 10.3sec sprint. The manual car also posts a slightly higher top speed of 121mph, versus the auto's 119mph. Enough performance, what about the BMW X3 sDrive18d's efficiency? Of course, a modern BMW just wouldn't be worthy of the blue and white roundel if it didn't wear its 'EfficientDynamics' on its sleeve. The rear-drive X3 achieves a claimed 55.4mpg and 135g/km of CO2 (manual), and 52.4mpg/142gkm (automatic). You can still spec M-Sport trim if a bigger-tyred, bodykitted look suits your taste. The extra choice should help bolster the successful X3 range even further, hopes BMW. 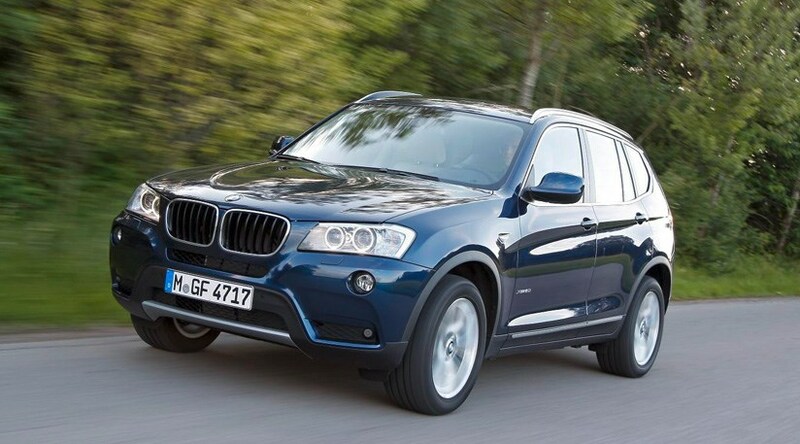 More than 74,000 units of the X3 were sold globally in the first half of 2012, a rise of 38.4% on the same period last year. Who said the SUV was dead...?